The love of a boy and his dog is like nothing else. It amazes me how early a child and dog can be best friends. Last fall (yes, I'm that far behind on blogging) I had the opportunity to capture one of my favorite mamas and her beautiful family. No joke, this woman is amazing and was so supportive of me through some tough times. 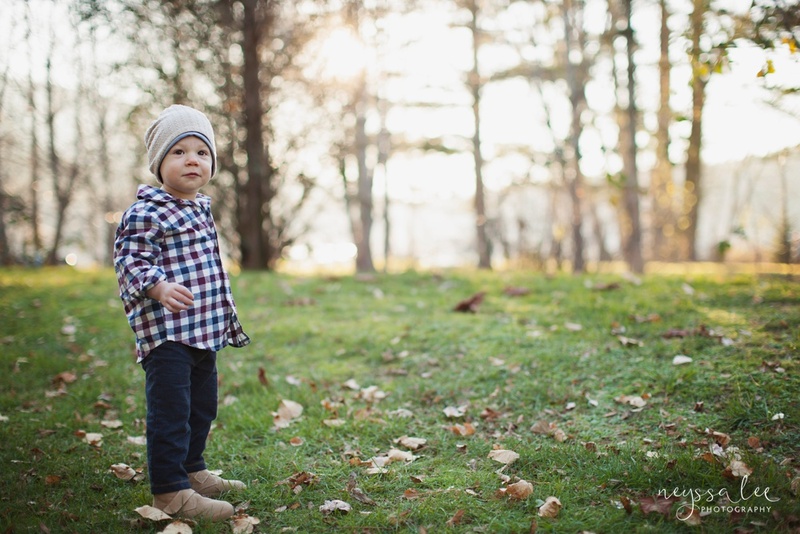 So when she schedule a session with me to photograph her family, I was so honored. This session is one of my favorites from last year. 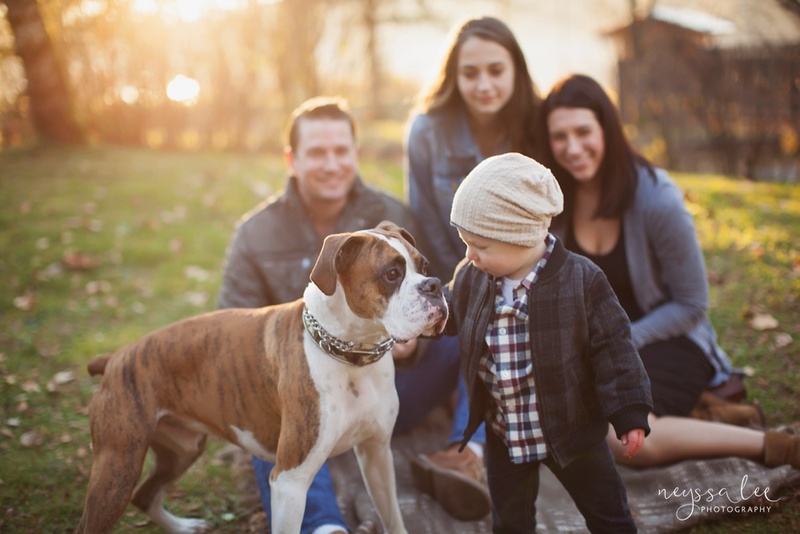 Besides photographing the love of a boy and his dog, the love and connection this family shares is so deep you can't help but feel it radiating from their images. And the light, don't get me started about the light. It was AMAZING! I admit, it was bitter cold, but there was never a complaint! Just look at the love of a boy and his dog here. Oh melt my heart. 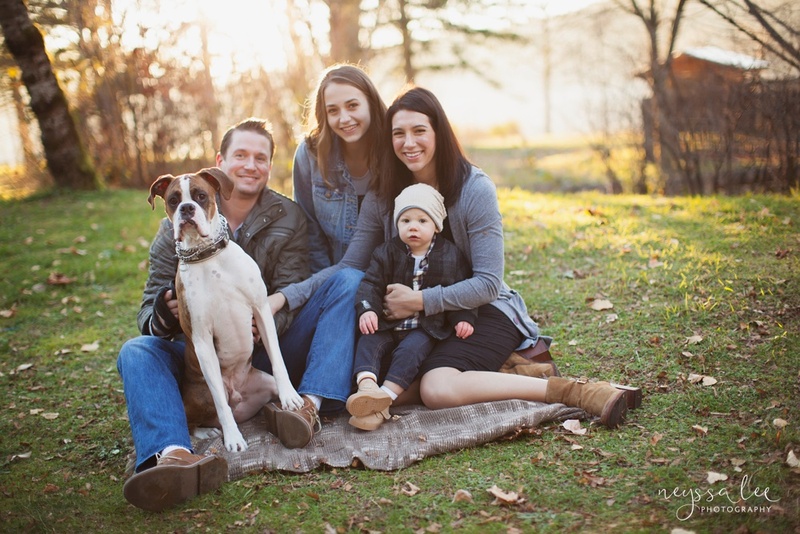 And while I don't spend an entire session trying to get the perfect "Christmas Card" shot, I'm more about the connection within your family. But come on. Look at this, a toddler and a dog looking at the camera. Aren't they a gorgeous family?Check out his style. He is so so darling. And I love the personality here. And didn't I say you could just feel their love? Wow.Mom and dad are pretty beautiful too. Like they could be on a magazine cover, right?We did this session at one of my favorite locations, so of course we had to explore. Don't you adore big sister's smile? She's a stunner too, and was so sweet on her baby brother.If you've explored my website out a bit, you'll see this image in several places. Because it is my favorite favorite favorite image from this past fall. It is the reason why I do this, to capture true connections and love of a family (and again, the light, oh the light. It just gets my heart racing). Thank you for braving the cold and spending some time at the park with me. Your family is truly beautiful inside and out. I think we created some pretty amazing art together, don't you agree? 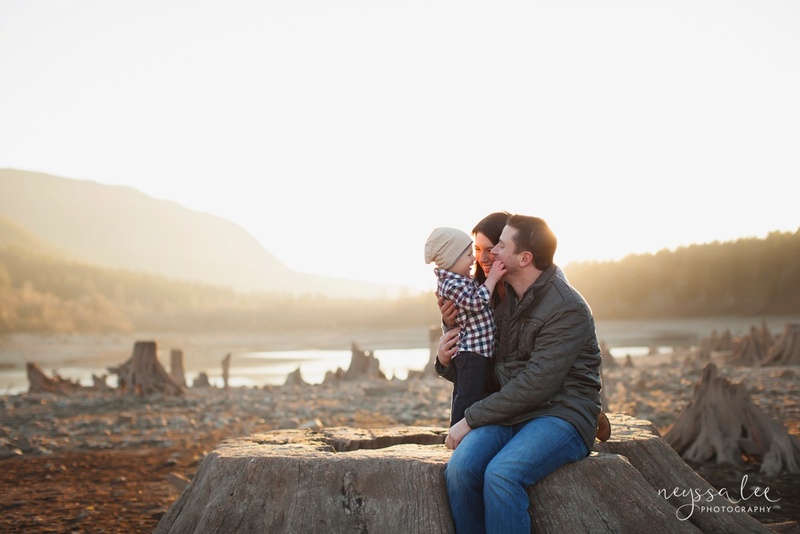 Ready to get your family together to create beautiful images? Summer and fall dates are limited. Click the link below to book your family session now.